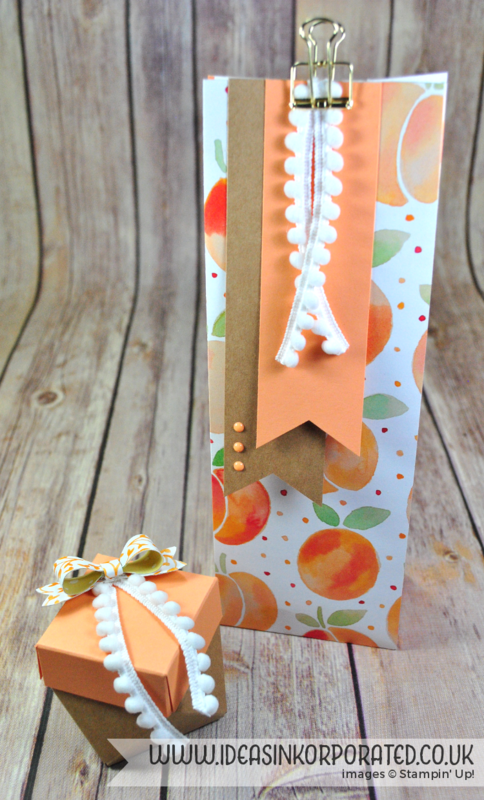 Fruit Stand from Stampin’ Up! Thank you for joining us on another Pinkies Blog Hop! 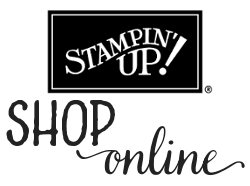 We’re showcasing lots of gorgeous projects using products from the new Stampin’ Up!® Annual Catalogue. Simply use the buttons at the end of each post to keep hopping! Well, it’s official. I’m suffering from TMSS (that’s too much stash syndrome!) – I could barely decide what I wanted to order once the whole of the new annual catalogue was available and up for grabs. Luckily I know the cure…. once I finish for the summer holiday, I am going to set aside a good few days and work through my new stuff set by set and see what I can create. As I teach at a boarding school, I’ve only got two weeks left and then I have the whole summer stretching in front of me to be filled with crafting (I hope). And I’ll have lots to share with you here! The bag is of course made with the Gift Bag Punch Board, using the measurements for the medium size. I love that you are only limited by the size of your paper when it comes to the height of the bag. Isn’t the Gold Binder Clip just gorgeous? I can see myself stockpiling those and adding them to everything. I added a few of the new In Color Enamel Shapes to the Kraft banner. It really pushed me out of my comfort zone to use Peekaboo Peach as I am NOT a fan of orange, but it’s starting to grow on me. I am definitely not dedicated enough to come up with this on my own – I think we all have the fabulous Artisan Design Team member Jessica Winter to thank for this one, and I have definitely seen them on lots of blogs! The Whisper White Mini Pompom Trim came to my rescue as the lid just needed something extra to finish it off. 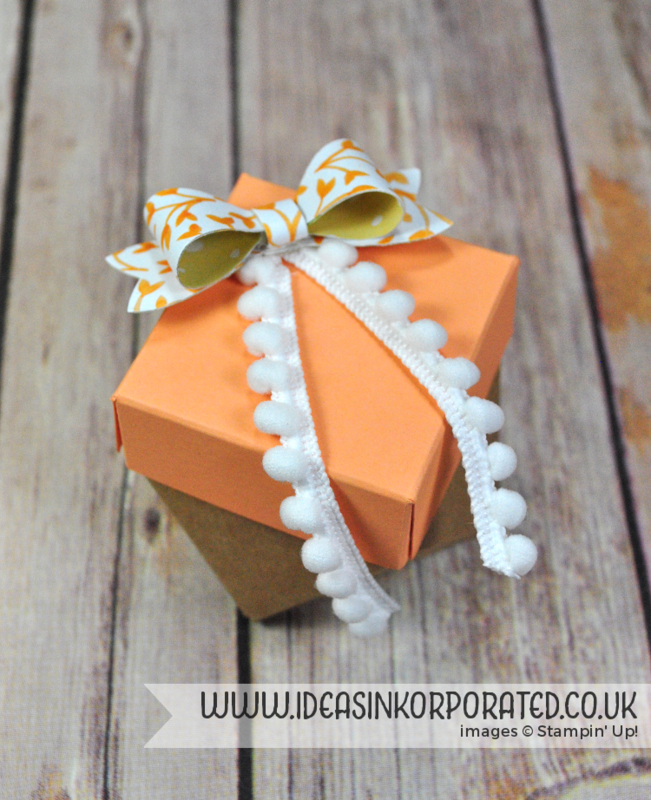 I’ll be using the gift bag as a hostess gift and the boxes as thank you presents at an upcoming workshop. Have you got yours booked? Don’t forget that you can earn an extra £25 Stampin’ Rewards during June. 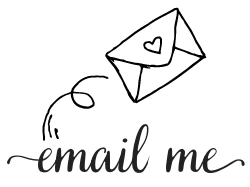 Enough of my rambling – you have other lovely projects to hop on and see! That box is too cute! Loving this Designer Series Paper too. Lovely projects Catherine, Love the cute little box. What a lovely ensemble Catherine Caroll! The orange is really fresh like this.